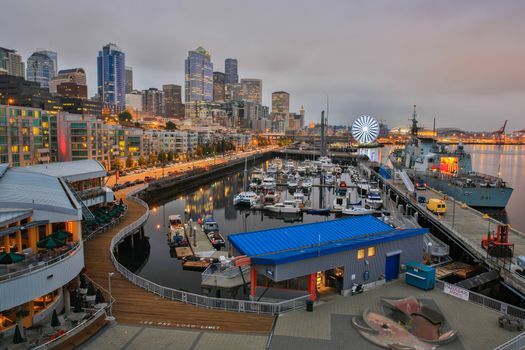 Seattle has a few iconic destinations for tourists, including the Space Needle and Pike Place Market, but those two photogenic spots are just the tip of the iceberg when it comes to what this city offers to its visitors. 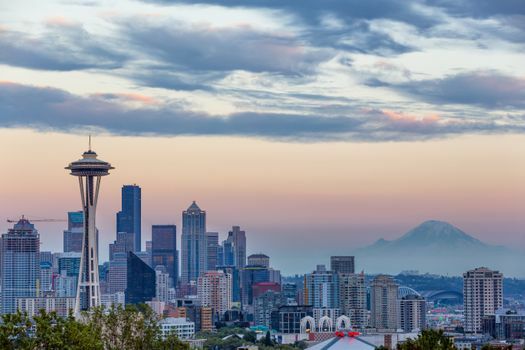 Whether you’re planning a longer stay with weekend trips from Seattle to rugged destinations or you want to spend a few days in the Emerald City taking in the local sights and culture, you’re bound to have a great time. Learn more about what activities await so you can start planning your ideal vacation and find a vacation rental in the right part of town for your travel style. Most people who know a little about the Pacific Northwest know that it rains a lot in Seattle and its surrounding environs. Locals respond to rain differently here. It’s a fact of life, so people mostly just get on with what they want to do without worrying about whether precipitation is falling from the sky. There are some exceptions — this isn’t a city that’s really ready to deal with heavy snowfall — but in general, events and activities aren’t likely to get “rained out” in Seattle. That means you should count on bringing some rain gear (a raincoat with a hood and waterproof shoes are most locals’ go-to choices). Summer is generally drier than other seasons, so that’s the best time to visit Seattle for most people, but there aren’t really any guarantees. Sun breaks do happen year round, and you may end up getting lucky. If you really want to try to avoid the rain, though, avoid traveling between October and March. Seattle is beautiful not only for its gorgeous setting between mountains and coastline but also because it’s managed to stay lush and green in spite of its ever-growing population and development. However, that doesn’t mean there aren’t opportunities for a luxe good time. Most locals are pretty laid-back, favoring raincoats and jeans over suits and ties, but with cultural opportunities, a thriving culinary scene and a sense of urban sophistication, there are places to go when you want to get glammed up. If you want to enjoy the local culture, your Seattle vacation ideas should focus on museums, theater events, food, bar hopping and shopping. Seattle’s Belltown and Capitol Hill neighborhoods are your best bets for something hip and sophisticated. One great thing about Seattle is that it’s perfectly located for a variety of spectacular outdoor activities. Sticking with the cultural destinations within the city itself is a great idea, but if you want to see some of the unique, rugged beauty that makes this part of the world special, you should get out of Seattle and head on an aquatic adventure. Beaches here aren’t the tropical kind, and that means that most of the water-based activities that appeal to vacationers are on the water itself. Kayaking, boat rentals and ferry trips are all good ideas based on the level of activity and responsibility you want to take on. Seattle’s ferry system provides an easy way of hopping to some of the small islands that neighbor the city on the mainland, including Bainbridge. 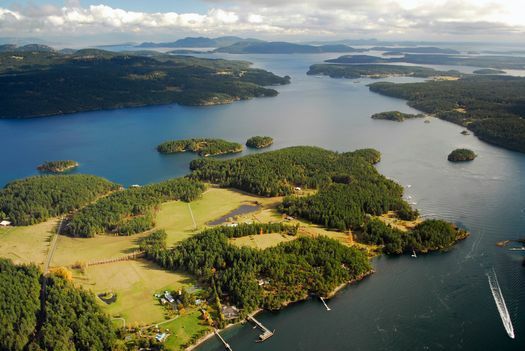 The San Juan islands in particular, which you can reach on a seasonal clipper ferry, are known for their rugged beauty and access to nature, including the possibility of spotting some killer whales in the wild. If you’d rather stick to land-based outdoor activities, Seattle has plenty to offer in that department as well. 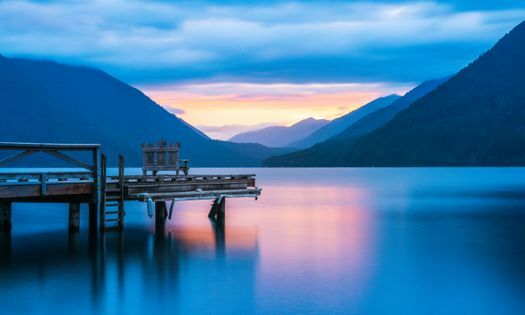 The Olympic Peninsula, which includes Olympic National Park, is a ferry ride away, and it offers tourists the opportunity to immerse themselves in the foggy majesty of an old-growth rainforest. People from other parts of the country may find themselves entranced by how different this area is, and there are plenty of hiking and camping opportunities to keep everyone entertained. Mount St. Helens, which famously blew its top in 1980, is another interesting inland destination that’s a day trip away from Seattle by rental car or charter bus. The Mt. St. Helens National Volcanic Monument offers an excellent educational opportunity for visitors to learn more about the eruption and the volcano itself. Though the volcano is active, it’s considered safe for visitors and is carefully monitored to keep everyone safe. Those who want a more intense experience can actually summit the volcano with the proper permits. So where should you rent a vacation home in Seattle? That depends on what you want. 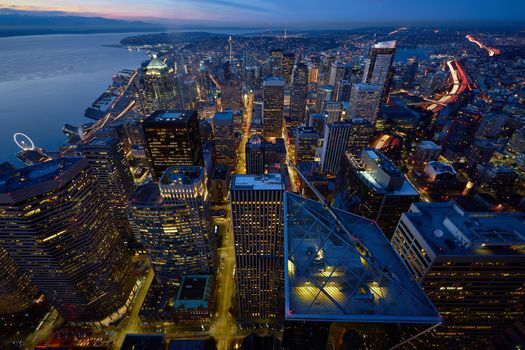 Do you want sweeping views of Puget Sound and easy access to public transit? Apartments in Belltown, lower Queen Anne and Downtown Seattle may suit your needs perfectly. If you’d rather stay in one of the funkier, more bohemian parts of town, Fremont and Wallingford may have just the vacation condo or house you need. For even quieter, laid-back vacation rentals, consider renting a house on Bainbridge Island or Bremerton. Seattle has a good inventory of both high-rise apartment buildings and single-family houses, including some vintage mansions and modern homes that are worth a visit all on their own. Just make sure your vacation rental home offers access to the activities that matter most to you.